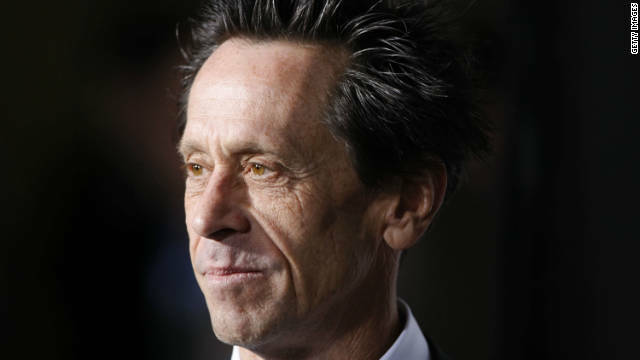 The Academy of Motion Picture Arts and Sciences is re-building their 84th Academy Awards ceremony with Brian Grazer as the new co-producer. The awards show is starting back at the drawing board after the former co-producer, Brett Ratner, resigned amidst criticism drawn from an anti-gay remark he'd made, and the show's host Eddie Murphy has quit as well. Murphy said in a statement on Wednesday that he "completely" understands and supports "each party's decision with regard to a change of producers for this year's Academy Awards ceremony, "but that he's "sure that the new production team and host will do an equally great job." In the meantime, veteran producer Grazer will be overseeing the ceremony alongside Don Mischer. Says Academy president Tom Sherak, "Brian Grazer is a renowned filmmaker who over the past 25 years has produced a diverse and extraordinary body of work. He will certainly bring his tremendous talent, creativity and relationships to the Oscars." What do you think of Grazer as the replacement producer? And how can we make the Muppets-for-Oscars-host thing happen? This is cslled improvement..now im looking forward to Oscar. When I saw Murphy was hosting, i dozed off. I guess I will not be watching the Oscars this year as too many people have gotten crazy with trying to make the q u e e r s feel normal. There was nothing wrong with what he said, its just that all f a g g o t s walk around with a chip on thier shoulder just waiting for someone to knock it off. grow up and get a life. pull that p e n i s out of your partners tale and join the real world. Hello you guys.ok l just want to see the people in the red carpet.but l can tell you there is not tomuch to see.l better see the mexican show ...there is many pretty women l have more fun. Oh my God, they got Brian, thank God for Brian, score!....Now someone tell me who the fck this guy is. I really liked Hugh Jackman.....lots of talent and nice eye candy. Here is my suggestion, Kermit and Miss Piggy as hosts and muppet versions of actors and actresses handing out awards. I could've sworn they were cancelling the Oscars this year to replace it with yet another of the dismal reality show GOP debates....wait, the GOP candidates actually exemplify comedy – perhaps they should all host together and at the same time they can debate on which of the actresses who wins should receive their Oscar from Cain! The Geico-Gecko for Oscars host! So over Conan...Why does everyone think this man is entertaining?? I am with Betty White or add some class and have Helen Mirren host. Conan O Brien would be pee yourself funny hosting. Why do they have to bantor and act inbetween awards ? Always thought that was silly. Why can just present award and maybe tell a joke or two ? Brian Grazer and Ron Howard have produced many movies that starred the one and only Tom Hanks. He would be the greatest Oscar host ever. Melissa McCarthy, Betty White, and Anne Hathaway could probably keep it moving and entertaining. Ditch the long intro and corny banter. Quentin Tarrentino also would be a good host. Maybe he could even come out on the show officially? One of the funny commenters from the blogs ! Blog poll, funniest blogger ? Vote now. I vote for Proper Villain. Not this sight only allmarque blogs. Seriously, is anyone going to ask what the hell he was thinking with his hair? the whole Muppets thing is ridiculous. what grown adult would want that? when a real person talks to a puppet on stage, the whole thing is just so dorky and stupid. Get Billy Crystal back! Billy Crystal it is! Someone actually heard me!!! Are you sure he isn't just an age simulation of Pauly D's face in 12 years? How about an all gay show? With several gay presenters including Ryan Seacrest ? The Village people can do the music. Could be an hilarious over the top funny show. How about Ann Hathaway again ? Except this time presenting naked. Would be the best show ever! Bob Hopes corpse would be funnier then most previous hosts! How about digging him up and having him do standup again ? Its halarious we can make comments about certain things like our president our homeless our lord jesus and thats ok but dont say anything about the gays or the war is on who gets to choose what can say ? i thought this was freedom of? !?? A no-host Oscar show might work with the beginning starting off with the best and funniest dialogue film clips. After that, two presenters at a time would slide down special slides, perhaps twisty slides, and land standing up on a special surface kind of like an Esther Williams stunt into a MGM pool. The women could wear a special cover for the short slide, then just whip'm off like Cher used to do at the beginning of her show on CBS back in the 70s after the S and C show. And, no need to launch into a long intro about the movie or actor/actresses, or the other talents. Just spell it out plainly, or get Joan Rivers to shock the world community at the expense of those stuffy people. America should Refuse to allow the one of a kind Eddie Murphy to quit. Why not George W Bush? Hes already made an a*s of himself before and turned the country in to a joke. Would do a terrific job now. How about Lisa Lampenelli ? Great comedian and would make it very funny. I hope someone steps in and fixes that thing on his head. Graham Norton would be the best host ever !! Why dont u get ellen degenerous,she was great! Very funny and down to earth. And why do we always have to go to violence when u disagree with ones comments give PEACE a chance! how about jeff dunham or the cast from the blue collar comedy tour? anything better than james franco or alec baldwin and steve martin. Kermit & Piggy have more charisma than Murphy. As for RATner, what does one expect from a director who makes crap films, for idiots. Of course crap is going to come out of his mouth. I don't forgive his comment. Would like to beat the crap out of that PUNK. He's in the profession, he's in? No wonder Tinsel Town is a ripoff, anymore. The majority of the show is the same every year. Actor walks out from stage right, Actress from stage left. Walk up to podium. Smile and look around for 10 seconds. Read quips from teleprompter. Read nominee names. Open envelope. Read winner. Clap and smile. I don't know – maybe somebody like Jimmy Fallon could make it at least tolerable to watch. Well, do you wanna have more friends? Browse sugαrmingle.СòM __. Unlike other sites, s’u’gar mi’n’gle D’ating assists you to connect with millions of senior sin’gles for fr’iendship, d’ating, serious re’lationship, activity partner and more. Here you can view dy’namic, informative personal profiles of other members and reach out to people with whom you share common interests For Free. I think you will like it.